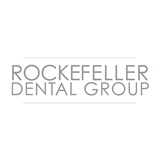 Rockefeller Dental Group (New York) - Book Appointment Online! Dr. Schoenberg graduated from Lehigh University with a Bachelor of Arts in Biology, and received his D.D.S. degree at Columbia University’s College of Dental Medicine. Before entering private practice, he completed his General Practice Residency at the New York Presbyterian- Weill Cornell Medical Center. He then joined his father in the practice of general restorative and aesthetic dentistry in Rockefeller Center. With a recent interest and study in Sleep Apnea, he has been awarded a Qualified Dentist designation from the American Academy of Dental Sleep Medicine. Being a current Fellow of the New York Academy of Dentistry, and member of the American Dental Association, New York State Dental Association, New York County Dental Society, and Manhattan Dental Study Club (past president), Dr. Schoenberg attempts to be involved in his professional community. Dr. Schoenberg tries to maintain a professional balance between recommended dental treatment and a patient’s desires. He is aware that everybody is different, and believes in structuring his treatment to assess the needs and feelings of each patient. As a dedicated father, Dr. Schoenberg enjoys spending time with his wife and two sons. He is an active hiker and skier, enjoys traveling, and plays the guitar.